Ever since hiking in northern New Mexico and looking east to their enormous, craggy and snow capped peaks I have been curious about the Sangre de Christo mountain range in southern Colorado. It just so happens Guthook hit me up to see if I wanted to get in a backpacking trip in Colorado in mid-July. I agreed and had already worked out part of the route, the remainder was pieced together using descriptions and maps from summitpost.com and 14ers.com. Soon I had developed a long loop, almost entirely off trail and requiring a bike ride to get back to my car at the end as Guthook was flying in. The trick was that the daily mileages were so low but the elevation gain never dropped below 4,000 feet per day, and all above 12,000 feet. We would need strong legs and good weather to get this done. 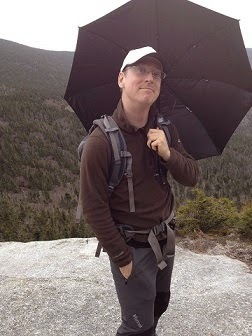 Not only that but Guthook lives at sea level in Maine, so I had to keep altitude sickness in mind. Approaching Venable Pass up and to the right. He flew in late on a Wednesday night and of course my phone didn't ring when he called because I left it on night-time mode. That led to me realizing at 3 AM that he was shivering at the bus station. Woops, sorry Guthook! The next night we left after I finished work and we ended up car camping at 9,000 feet near Poncha Pass about an hour from the trailhead. After breakfast in the incredible hippy town of Crestone we stashed the bikes at the southern trailhead and made our start around 9:30 AM from the northern trailhead. In front of us was a mosquito ridden 5,000 foot climb to the top of Venable Peak which we reached after some easy class 2 hiking up from Venable Pass. From the ridge we could see smoke churning into clouds from the Hayden Pass Fire - a 12,000 acre wildfire about 15 miles north of us. It was an incredible but somber sight. From the top of Venable Peak we tried to identify the route ahead and could spot 7 of the 10 peaks we had on the menu. On the way down we encountered a group of 14 (!) backpackers taking 5 days to do the loop that we had just done half of in 7 hours. Their packs were of the extra-extra large variety but I'm sure they had a great time in camp. Climbs not pictured: Horn Peak, Broken Hand Peak and Obstruction Peak. Soon we dropped down the adjacent drainage and found a breezy camp a little below 12,000 feet to keep the mosquito's off. We had to eat dinner at the lake and haul water up for the next day since we had no sources to count on along the crest of the Sangres. Guthook had a mild head ache but no issues with the altitude so far. The view from our tents wasn't too bad to boot. The west side of Comanche Peak lit up at dusk. The next morning we climbed the ~1,000 or so feet back up to the pass, turned left off the trail and ascended Comanche Peak, our second 13'er (peak higher than 13,000') of the trip. Ahead was a false summit and a broad flat area north of Fluted Peak. The ridge to Horn Peak loomed to the west, branching off fluted's false summit and we went back and forth about whether to climb the 2 miles out and back, losing 500 feet and gaining 800 in the process. In the end we bagged it and enjoyed our first real "Class 3" scrambling of the trip. It was a good warm up for the Class 4 we encountered on the ridge between Fluted and Adams. Fluted Peak in back, Adams is behind me. Guthook exiting an exposed Class 4 chimney on the way to Adams. This was not the thing you want to do with a heavy pack, every pound tugging you backwards and sloshing around when you make a quick move across a potential 1,000 foot fall. The climb up Adams had four intimidating ribs jutting out along the ridge, each of which presented a vertical wall of rock with a chimney along the back side or some other way of negotiating it. We managed to make it to the summit without vertigo or death and descended the much simpler standard route to camp above Willow Lake. Guthook contemplates the summit of Adams. Dusk gives the Sangres their name as Challenger and Kit Carson glow red in the fading light. Another breezy, almost mosquito'less camp. The next morning we finished the descent to South Colony Lakes and joined up with the standard route up Challenger Peak - our first 14er and 6th summit of the trip. We both hated the route - straight up a dusty and loose rock ridden slope with little solid rock until the top. Fortunately no other climbers were immediately ahead of us, so the risk of a rock to the head was low. We did meet a few on the summit who took our photo though. I printed our route descriptions and photos of the way to Kit Carson, down Challenger's ridge and around "The Avenue" but it was all fairly obvious and well cairned. At the summit of Kit Carson we began the descent down to a Class 4 traverse across its East Ridge which was the most sustained and enjoyable scrambling of the trip so far. Guthook head up to Columbia from Kit Carson. Soon we had the summit of Challenger and another cairned and well trodden path around it leading to a view of Obstruction Peak and the "bears playground" - a huge flat grassy ahead. Ridge to Obstruction Peak - our 4th 13,000'+ peak that day. Bears Playground with Crestone Peak in back. At this point clouds were rolling in so we had to hoof it. After another class 3 ridge traverse we made it to the saddle below Humbolt Peak and decided to call it a day. It was 2:30, the weather was iffy and we were both almost out of water. Our fourth day was unplanned and had several options so we decided to regain the ridge, bag Humbolt (our 3rd 14er of the trip), descend and go up Broken Hand Pass to Broken Hand Peak. Yet again, we found a beautiful campsite, but with some big horns as a bonus. The next day went as planned, although the trail up Broken Hand Pass turned into more of a scree scramble at the top. Again, we didn't have anyone above us which made things a lot safer. We were both totally exhausted but made the slog up Broken Hand Peak for our 11th summit of the trip. The descent back was uneventful and we found another epic campsite. The tents came up minutes before the rain and a thunderstorm rolled in. Summit of Broken Hand Peak looking towards Crestone Needle. We got up a little earlier the next morning hoping to outwit the mosquito's but were severely disappointed when clouds of them chased us down the trail. For over two hours I killed at least a mosquito every 5 seconds, totalling over 1,000 blood suckers. I still came home with several dozen mosquito bites since we neglected to bring any bug spray. Oh well. The trail down Cottonwood Creek was difficult to follow until we were below treeline but soon became a beautiful waterfall riddled thing with open granite ledges (and more mosquito's). We got back to the bikes only to find one had a flat tire so I booked it back to the car, changed and came back for Guthook (and my other bike...). All in all, an epic trip. 34 miles, just under 20,000 feet of elevation gain and descent. For reference, in New Hampshire's steep white mountains a pemi loop is about 33 miles with 10,000 feet of gain. This trip was double the climbing and nearly all of it was between a lung gasping 12,000 and 14,000 feet. When Rachel and I got back to Chama, NM, where we flipped to Glacier National Park 4 months earlier, we knew we didn't want to keep hiking on the CDT in New Mexico. The trail south of where we started the CDT in Grants, NM has a lot of paved road walking, is generally flat and has only a few highlights. The trail also splits at one point, one direction takes you further east to the Black Range and the much more popular western route through the middle fork of the Gila River canyons. The Gila route has more water (arguably too much water since you cross the river over a hundred times), canyon walls and some cliff dwellings and is shorter. At the same time, we didn't feel like the hiking year was over yet so we decided to try and bag the Grand Enchantment Trail (GET) which happens to go through both the Black Range and the west fork of the Gila River while avoiding paved road walks and hitting more of the Southwest's sky islands, short high elevation mountain ranges that poke up out of the desert. The GET also has more cross country sections, which I find more interesting than trail. However, we'd be starting October 14th, at least two weeks later than a typical westbound GET start date. The GET would also give Rachel a chance at planning a long distance hike since I had already done most of the planning for the years hiking up until then. I took care of acquiring the maps and she worked on the resupply plan and itinerary. We figured we would have just enough time to hike from the eastern GET terminus at Sandia Mountain in Albuquerque to where the GET joins the AZT near Superior, AZ, about 130 miles from its finish and still get home for thanksgiving but it was looking tight. We figured we would go for it and get done what we could, but a full through hike wouldn't be possible since we would probably miss the western most 30 miles of the GET. Special thanks to Matt and Yogi who printed the maps on short notice and mailed them to us in Albuquerque all for free since I contributed in the 2015 PCT guidebook. Brett "Blisterfree" Tucker created the GET and has an excellent website that makes the planning process easy, although there's almost too much information. He's also very responsive to questions so feel free to contact him if you're interested in the route. We started the trail out by taking the gondola ride up to the top of Sandia Peak, saving us most of a day and a 4,000 foot climb. We had to pick up my new sleeping pad from REI which cost a lot of time and only got to the top of the mountain late in the day. Since it was October, the sun was setting before 7 pm and rising around 6:30 am so we were starting to really feel the lack of daylight. We got a few miles in, found a nice spot and dry camped. From there the trail traversed the crest of the Sandia Mountains and dropped us off at a trailhead just up route from an unlisted on-trail Subway restaurant! A gondola ride up to the top of a 10,000+ foot tall mountain AND lunch on trail? This was certainly no CDT! Man that gondola ride was tough! After the Sandia mountains there is an option to skirt some very remote private land or hike a 27 mile roadwalk, which no one does. That really hit home that we weren't on a national scenic trail anymore, just a route some guy thinks is cool (and it is). After that the GET climbed up to our second sky island - the rugged Manzano Range. The trail seemed to get little use and was easy to lose at first but got more distinct as we continued. We got a good feel for the route in this section as Brett mixed road walks, trail and short cross country sections to keep you moving to the next highlight. We hit our first hitching road to Mountainair, NM, a tiny arts and ranching community near ABQ. The night before we camped a few miles from the road at dark and planned on catching an early ride into town. Just as we were waking up a storm hit that dropped an insane amount of rain, flooding the ground our tent was pitched over and getting everything muddy. You tend to get kind of lazy about campsite selection in the desert since it rarely rains. This time we really got burned! This storm started a pattern since the next five weeks we'd see six more just like it, even though November is typically New Mexico's driest month. From Mountainair we hiked our way into Magdelena, NM. The section was mostly jeep trails with connecting cross country segments. A lot of the cross country is following a (normally) dry wash, but our second storm hit several days in and we had to either avoid the washes with roads or cross them while they were flooded. One wash in particular was looking very fast and deep so we waited almost an hour for it to recede. That was a good plan until another storm cell approached and we decided to just go for it before that cell raised the water back up! This was probably the worst crossing of the whole year - waist deep, fast and muddy so you can't see the bottom. Rachel and I crossed facing together, arm in arm, walking sideways. That way my legs could break a little of the current for her and we could use each other for stability. It was a little more intense than we were expecting for New Mexico in fall. Wall of water and rainbows! Towards the end of the segment we had the option of fording the Rio Grande, whose headwaters we drank from in Colorado a month earlier, or taking a long dirt road walk to a bridge. We played it safe and took the bridge since the river would probably be in flood stage. The next storm hit a day later and we got treated to half a dozen rainbows, including three at one time! The last few days on that stretch we started seeing several sets of boot prints on some of the cross country. We unexpectedly found their owners ten miles before town - a trio of german hikers with big packs and big leather boots to match! They were aghast at our lightweight packs and trail runners and we hung out a bit in town and camped together the next night. They were out for a few weeks and had just started after the Rio Grande crossing. Unfortunately one of them hurt her ankle in the weeks leading up to the trip and it hadn't healed. She wasn't able to go very far so they decided to modify their trip and hitch to the Gila hot springs area. They were amazed when the woman at the post office gave them the number of a woman in Silver City who would host and drive them around. I guess that's unusual in Germany! The trail after Magdalena climbs up to South Badly at 10,783 feet and past an observatory. There's a nice trail down to a road but the trailhead is on private hunting land. Apparently the owners decided they don't want people crossing their land so we had to do a slow and circuitous bushwack around it. It was steep and rough, full of thorns and especially frustrating when you could be cruising down a trail and dirt road. Our next highlight was Potato Canyon - a really cool riparian area with lots of water and steep canyon walls. The trail in the canyon was tricky to follow until we climbed up out of the canyon to the base of Mount Withington. Then we had a pleasant roadwalk with occasional views of the desert floor below and our next mountain range - the San Mateo's. The GET used to follow the San Mateo Range south, then go through Monticello Canyon - supposedly a beautiful riparian corridor ending in a magnificent box canyon. Unfortunately a new landowner has closed one section of the canyon, requiring an alternate around it. Brett has one listed but he never actually hiked it, so it turns out we were the guinea pigs. We first shortened the route by taking a side trail down San Mateo canyon rather than continuing south along the ridge, then heading north to the alternate. The trail in the canyon was difficult to follow but you're in a canyon, so you'll find it eventually. There were a lot of blow downs for several miles too, which is annoying. The nice part was the perennial stream in the canyon that would mean east bounders climbing up wouldn't have to carry water until the switchbacks that lead up to the ridge. We connected to Brett's reroute on a steep descent into Kelly Canyon then following up a side canyon. We were a little surprised by a 6 or 7 foot pour off - a low cliff - at the very start of the side canyon but scrambled up to the right of it pretty easily. Then another pour off and some scrambling up slabs. It was tricky to figure out which branch of the canyon to stay in, so we climbed up out of it for a minute to get a better view, then down back into the main side canyon. Staying right worked up until the top and we made it out just before dark. We then had some dirt road walks past dry or gross water sources until hitting some newly installed solar wells. We reached the road to Winston - a tiny ranching community we sent a box to 20 miles away - around lunchtime and hoped for a ride within a few hours. It was looking grim with only three trucks going the wrong way by 2 pm and another storm system moving rapidly towards us when a truck pulled over. The woman driving asked if we wanted to get inside somewhere for the storm, even though she lived three miles in the wrong way. We said sure and suddenly found ourselves being spoiled by the wife and friend of a local hunting guide! They were just finishing up the season and had lots of extra food to get rid of - a hikers fantasy! Annika asked if we had been in San Mateo canyon the day before; apparently two hikers had spooked a big elk her husband and client were stalking - oops! Later that day the guide came home, he was packing out the elk that didn't run when we walked by, and wasn't too happy about us being there initially but quickly warmed up. I think people who spend a lot of time in the outdoors have a deep connection that makes itself apparent, whether or not you do entirely different things. Their family has lived in the area for five generations and they were more concerned with protecting it than the average Subaru driving environmentalist. Anyhow, Annika and her husband hosted us that night and had a friend pick up our boxes from Winston. We showered, did laundry, which we couldn't do in Magdelena so things were getting nasty, and ate a ton of great food. They even sent us packing with a pound of elk sausage! The next stretch actually took us back onto the official CDT in the Black Range. It was pretty mellow for a mountain range and full of burn. At one point we couldn't find a campsite until almost 9 pm because the burned plants grew back in too thick and the trail traversed a steep ridge for miles and miles. Usually you can pick saddles or flat spots out from your topographic map but everything was covered in new growth. We ended up camping on top of Diamond Peak, over 10,000 feet again! The next few days we spent on a horse trail that follows Diamond creek. The creek meanders overtime between low canyon walls which means the trail has to cross them since you can't just climb the canyon wall. That's fine if you're on a horse but crossing a freezing cold creek when there's still frost on the ground at noon is a new kind of suffering! The canyons don't get much sunlight and cold air sinks into them at night. Rachel has raynaud's so her feet really really hurt to the point where she had trouble walking. We walked into the Gila Hot Springs area and got a ride to Doc Campels post - a tiny general store run by an ornery old man. Turns out the box I had prepared from the CDT was the second part of a two box resupply and had almost no food in it. Rachel bummed me some and we figured we'd resupply again at the tiny town of Alma which has just a convenience store. Another storm blew in that night and dropped snow above about 6,000 feet. We decided to give it a day and let things melt so we forked over more money than normal for a room across the street from Docs. Bonus: heated floors! The Gila Cliff Dwellings National Monument didn't open until 10 am the next day and it took us a while to get there without a car. We ended up staying for the 11 am tour and not hitting the trail until after noon. Of course the trail crosses the west fork of the Gila River about seventy times over the next seventeen miles. The crossings got progressively deeper after we passed the option to hike out of the canyon on a series of longer but parallel trails. We should have gone back but I was kind of stubborn and though the canyon was cool. Rachel was freezing! We camped only eight miles or so in and still had at least half the crossings left. The night was clear so we made a fire to dry out our pants and shoes so they didn't freeze overnight. You can't really dry out shoes completely so we still had to warm them up on the stove the next morning. The next morning we tried to climb out of the canyon but got cliffed out and had to turn around. We were going to wait until it warmed up to start "hiking" (swimming?) anyway so we didn't lose too much time but it was sketchy going back down. We finally made it out of the canyon and up to a decent campsite around dusk. Another fire, although the wood was kind of wet and our shoes were only partially frozen the next morning. Some cliff dwellings a few miles from the national monument site. The next part of the trail was burned for a few miles, covered in blow downs and thorns and I misread the map and thought it would stay like that all day. We almost turned around! Fortunately the burn was better after a few miles and we spotted a Mexican gray wolf! They were reintroduced in the area but are still very rare. In 3,000 miles this was our first wolf sighting! We hit some snow on Mogollon Baldy but just a few inches deep, enough to see mountain lion, bear, wolf, elk, deer and rabbit prints all over the trail but no footprints! The views were really fantastic but we had to night hike to make it to a snow-free campsite at the trailhead. Sleeping on snow with summer weight sleeping pads is a great way to spend a freezing cold night out and all the flat spots between had a few inches of crust. The next day was an easy roadwalk down off the mountain and then into yet another canyon filled with creek crossings! At least this one ended in a riparian slot canyon near Alma! From Alma we hiked through some lower but very rugged mountains into Arizona and eventually to the mining town of Morenci. Initially we were excited since the motel, grocery store, post office and all you can eat pizza are within spitting distance of each other. Sadly, the motel was full of mining contractors and we had to call up the motel in Clifton for a ride and a very expensive room. I think at this point we were getting pretty frustrated with the weather, the fords and the towns. The hike into Safford was pretty nice, mostly on the Safford-Morenci trail, a rugged historical trail between the two mining towns. The way out of safford we hit yet another storm that dropped snow on the last high elevation part of the trail - Mount Graham. At this point we were scheduled to get to Phoenix a day or two ahead of my flight out on Monday, were sick of the weather and tired from 8 months of hiking. We decided to throw in the towel a days walk out of Safford. So we walked and then hitched back to town, pigged out and rented a car in Globe to drive around Arizona for a few days. We went up to Sedona for a night, which was nice but no Zion, check out some hieroglyphs and did some roadside camping. Mostly it was just nice not to be walking, cold and wet and dependent on hitch hiking for the first time in eight months. I think this was a much easier transition than trying to finish the GET, and now I have a week+ long backpacking trip I can do sometime in the future. Overall the GET is a fantastic route. Every day is both scenic and totally different from the last. The skip to Battle Pass went mostly without a hitch, expect we bailed from the Winds a little earlier than planned and ended up hitching to Lander. We only missed Temple Pass, but no big deal. Rachel had been feeling sick to her stomach and was lagging most of the time, I figured it was just exhaustion. We ended up spending a zero day in Lander with a thru-hiker friend we met on the Arizona Trail, Pod, who let us stay at her rented house and showed us around town. Lander is pretty sweet, it isn't as touristy as Pinedale and is still fairly close to the Winds. We met up with K2 and Ridgerunner and the 3 hour drive to Battle Pass saved us about 200 miles of really boring dirt roadwalks and cow water. We managed to keep up with K2 and Ridgerunner for a few days but they eventually blew past us when I forgot Rachels In-Reach at camp just below Lost Ranger Peak. So, it was back to just Rachel and I and we hiked through the beautiful Zirkel Wilderness and to Rabbit Ears Pass. On the way to the Pass I talked to two women walking four big dogs. They immediately offered to give us a ride into Steamboat Springs, our first Colorado town! One of them even offered their extra backpacking food from completing the Colorado Trail just a few weeks earlier. When we got there she pulled out one huge bin of backpackers pantry type meals, fancy bars and home made oatmeal packages, then a second bin, then a giant box! They could have hiked the trail twice with that much food! We basically resupplied for free, then spent the night at their house. It was awesome! The next 600 miles have been the most scenic of the CDT by far. Colorado has been tough, lots of high altitude ridge walking up and down 12,000 and 13,000 foot tall peaks while looking down at entire hillsides covered in golden aspens. We stuck to the official route over Grays Peak, the highest point on the continental divide at 14,278 feet, bagging neighboring Torrey's Peak as well. The trail continued for a knife edge that scared the beejesus out of Rachel. We had a tough time with the altitude and eventually figured out Rachel had contracted Giardia. She tried to get tested in Leadville but the nurses dismissed it as a possibility since she didn't have any diarrhea. I gave her my course of Flagyl antibiotics from the PCT and she immediately improved. We bagged San Luis Peak, our third fourteener and just finished the northern San Juan mountains. Today we finally took two days off to wait out some bad weather and will finish the last 70 miles of Colorado in three more days - meeting up with Cumbres Pass, where we flipped up to Glacier from last June. From there the plan is to hike the Grand Enchantment Trail from Albuquerque back to Arizona near Phoenix. It overlaps about 100 miles with the Arizona Trail which we already hiked this year so we should be home for Thanksgiving!